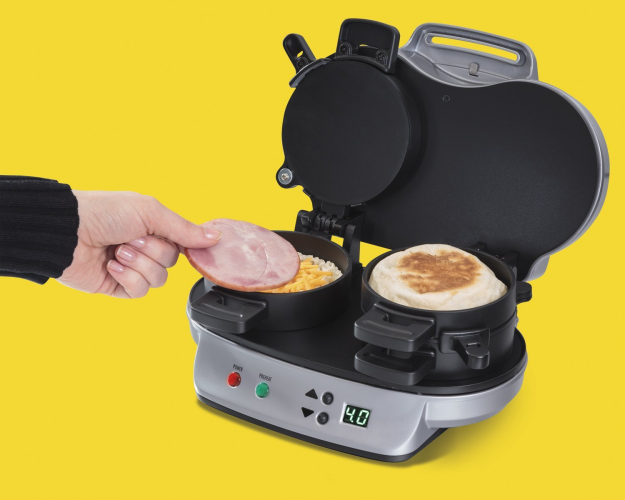 Last week, the Internet was obsessed with a breakfast frying pan that could cook your entire breakfast in one pan. In fact, it was one our most engaging stories from the past few months. 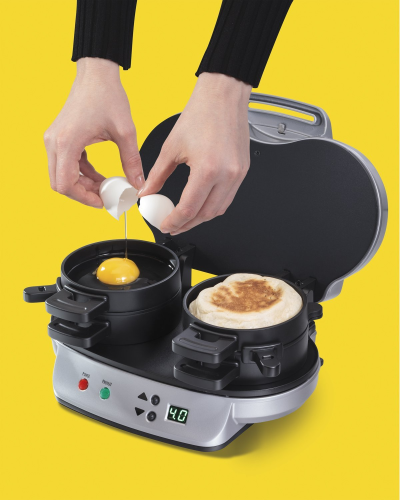 However, we’ve come across a better (and cheaper) machine that can simplify your breakfast process. 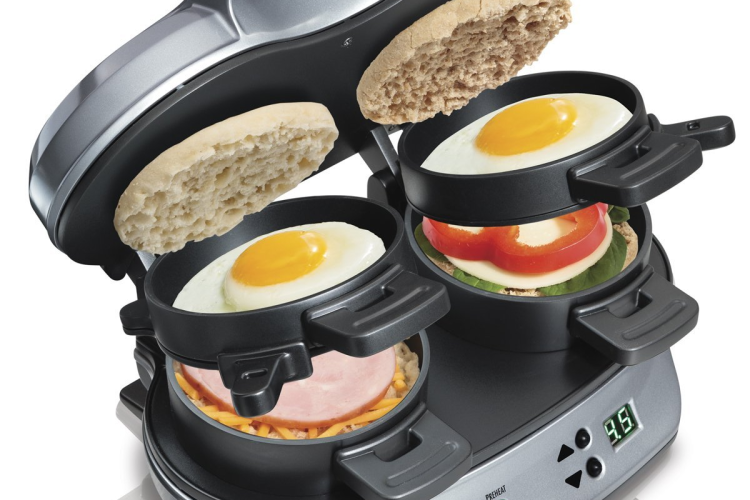 The Hamilton Beach Dual Breakfast Sandwich Maker takes breakfast making to the next level. The machine will make 1 or 2 sandwiches with little to no effort. 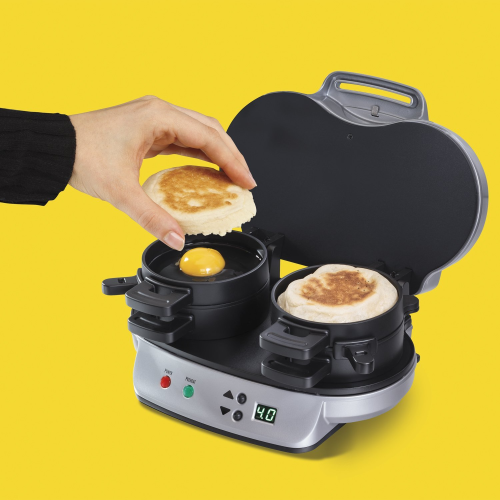 Just throw some eggs, cheese, meat, and buns into the machine and in minutes you have a tasty little sandwich. It doesn’t get much easier than that. I personally like this a lot more than the frying pan that garnered so much attention. 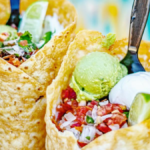 It’s half the price of the frying pan and received glowing reviews on Amazon.